Approved by the New York State Board of Education. This is the only Hebrew Language Training System that comes with a Money Back Guarantee! If you do not increase your Hebrew Reading Skills with this system your will get a complete refund - It's just that good - It's guaranteed! TES a leading Diaspora producer of Jewish software, has just made it easier to conquer the Hebrew language. If you are serious about learning Hebrew - then this is CD-ROM for you. 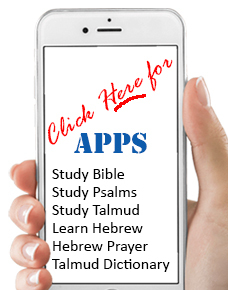 "Read and Speak Hebrew for Adults" will familiarize you with the building blocks of Hebrew Letters, Vowels, Pronunciation, Word Building, Reading and Comprehension. The CD-ROM consists of a nine-step self-study Hebrew course that make it possible to speak, read and understand modern and even Biblical Hebrew. It starts from the beginning nothing is taken for granted. The program is very thorough and begins with the basics of Hebrew letter recognition. Just pass your cursor over each letter on the screen and its name is sounded out loud and transliterated in English to ensure correct pronunciation. In later lessons you drag shuffled letters ­that test your mastery of Aleph Bet. The program uses native Israeli Hebrew teachers to guide you through every process and give you feedback as you advance. After you mastered the letters you move on to vowels. In this session you are also trained and drilled in the basic laws of Hebrew Grammar known as Dikduk. After you think you've got that down pat, then two-, three- and four-letter Hebrew words are presented, followed by meaningful sentences. Each of the nine lessons consists of a training session and a review session that reinforces what you just learned. And best of all this can be done at your own pace. TES collaborated with the Jewish Continuity Foundation on this excellent Hebrew-language training system. This is an excellent tool for learning Hebrew, in fact TES offers an unprecedented money-back guarantee. The company promises, that if the you do not increase your Hebrew reading skills with this system, you will get a complete refund. Now that's a deal you just can't refuse!.